We are design consultancy Bee. We are specialized to help Non-Governmental Organizations in improving, not changing, their way of operating in bottom of the pyramid countries. In this module we explain who we are, why we decided to focus on NGO’s and what we can do for them, their supporters and of course, the people in need. Bee is a design consultancy consisting of four strategic designers who each have their own background, interests and specialties. These differences allow us to develop several distinctive capabilities that we have as a team, which we will discuss in the next part. 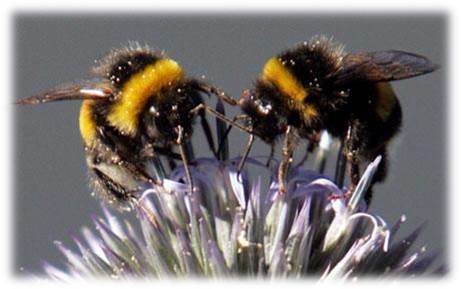 Moreover, the way bees work captures our and the NGO’s vision of cooperation between all kinds of different people. Working towards a common goal is what bees do and what people should do some more. What do we do? Bee focuses on helping Non-Governmental Organizations to improve their way of operating in order to create a more trustful and personal relationship with their supporters and receivers. We do this by designing a service that can provide this type of relationship between the stakeholders. Why NGO’s? We found that NGO’s have a hard time gaining trust from donators/supporters as well as their receivers. Supporters make a donation, but in most cases don’t know where their contribution is going to specifically or if it is used for the right purpose at all. On the other side, the people in need receive often help or things from the NGO’s that they did not asked for or can’t use. We believe that making the needs and wishes of both sides clear to the NGO’s and create more transparency in the operations, can really add something to the effectiveness of the aid. 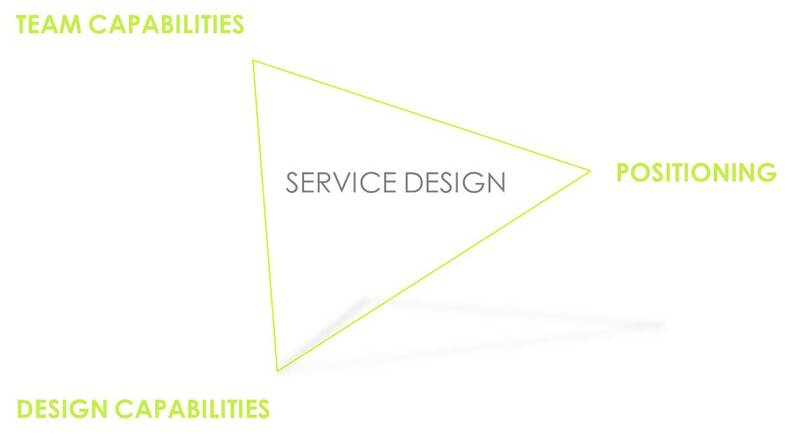 Why service design? With trying to satisfy the needs of different stakeholders (supporters, receivers, but also the NGO’s themselves) in different parts of the world, complex situations emerge. Service systems are a suitable way to deal with a lot of factors and to make intangible things, like the need for transparency or involvement, more clear so that they can be addressed in the right way. 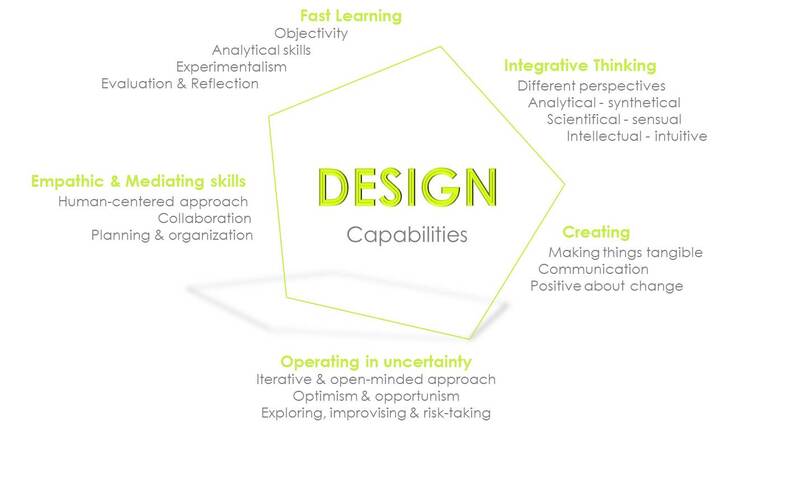 To find out more about our strengths as a team and how to use this in our positioning, we looked at not only our capabilities (1. derived from specialties and personal interests), but also at the capabilities that are characteristic for designers (2. Beverland & Farrelly, 2011; Brown, 2008; Liedtka, 2014; Michlewski, 2008). Reflecting these upon ourselves made us think about what we can add as designers, which of these we already have and which need development. After that we took a closer look at what designers can do in the field of service design (3. Morelli, 2006; Secomandi & Snelders, 2011). These share a close connection to the general design capabilities or can be derived from them and we found it therefore important to take both in account. After this analysis, we combined our (potential) capabilities and put them through a service design ‘filter’ so that we can use them from this service perspective. Our positioning is based on what we can do and how, with NGO’s as our target group. A big difference between corporations and NGO’s is the relationship with their customers or supporters. For NGO’s one can see the customer as a supporter or donator. The supporter has a relationship with the cause which is personal. On the other hand, the customer has a need that can be fulfilled with the acquisition of a product or service. One can distinguish two types of NGO’s; one is the old-fashioned type in which there is a two-way communication and a one-way value transaction. In this type people donate money to the NGO. With that money the NGO will help the people in need. This is the way NGO’s have been working in the past decades. The second type of NGO is a newer type. There is communication between supporter and the NGO, between NGO and the receiver and there is also communication between the receiver and the supporter. Something that plays an important role here is that when the supporter knows the receiver, it will be emotionally more satisfying by donating money or goods. It is commonly known that giving increases happiness of people. Giving or helping others can give consumers a sense of well-being, inner-satisfaction and a sense of purpose in life. (Aknin,2009). However among consumers in the Netherlands and in Europe, there is a need for more than just donating money. In all different sectors and industries, consumers (and so are supporters of NGOs) are becoming more critical (Fygi, 2010). They do not simply donate money or goods to organizations, but they want to know what happens with their money. Donators, or more suitable, supporters want a certain level of transparency within the NGO, so they know they can trust them and that they can send them their money. It is both desirable and proper that NGOs and aid agencies should use their information to tell their story about their performance, about their overhead costs, or about how they used money. But people want to be able to recreate calculations themselves, or do a different calculation, from the underlying data; if an organization wants people to accept its conclusions, then it has to publish the underlying information from which they are drawn (AidInfo, 2010). Aknin (2013) states that giving makes us feel even better if we know the one who is being supported. He concluded that a social connection may be important for turning good deeds into good feelings, and maximizing connectedness between supporters and receivers may enhance the emotional payoff of charitable initiatives. This means by connecting the supporters to the people they are helping, NGO’s can improve the emotional payoff for their supporters. Using a properly designed service can be a way to connect the stakeholders in the NGO system and therefore to improve the emotional payoff of supporters after contributing. This can be immaterial and can be just information about the project they contributed to, but it could also have a totally different form which adds tangible value for the supporter. 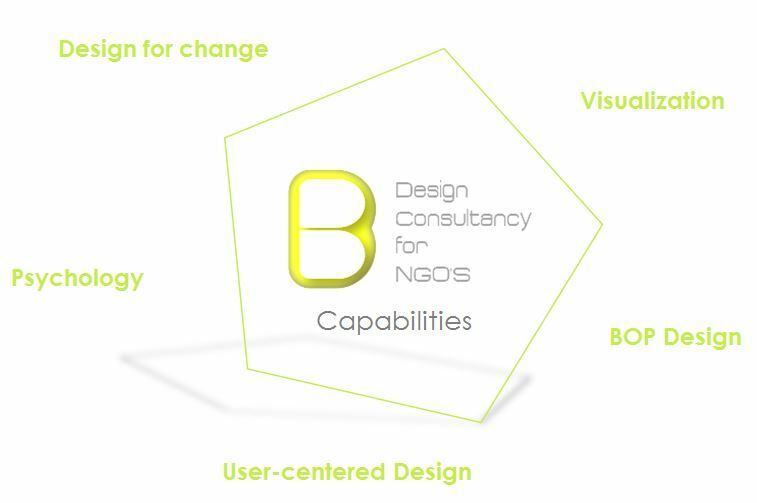 By designing meaningful products and services for supporters we can help NGO’s. Delivering meaningful services to supporters is also a way of differentiating themselves from other NGO´s. This is very important since there is such a big variety of NGOs in the Netherlands. Some NGO’s are already offering services or other ways to create a connection between the supporters and the people who are being helped. In that way they are already providing supporters a better feeling about donating. A nice example of this is Join the Pipe. Join the Pipe presents themselves as a community of tap water drinkers. By buying a drink bottle of Join the Pipe, you donate an amount of money to their projects. After buying, you get a unique code. With this code it is possible to check on their website to which of their projects you contributed by buying the bottle. Another example of NGOs who did react to this trend quickly is Meet Your Knitter and Our Garment (Groenewoud, 2014). Meet You Knitter is a service for the fashion line Inti Knitwear garments. ‘Meet Your Knitter’ service enables Inti Knitwear customers to inquire information (the people, the story, and the process) behind Inti Knitwear produced garments. This can be done by scanning a garment’s tag using the Intimate App. The app then downloads and displays one or more movies related to that unique garment and its production. ‘Our Garment’ is a service for Inti Knitwear customers who have purchased a garment and used the ‘Meet Your Knitter’ service. The ‘Our Garment’ service only unlocks after using the ‘Meet Your Knitter’ service. The ‘Our Garment’ as a service opens up a communication channel between the Inti Knitwear customer and knitter. Using this service, customers can send photos to knitters to thank them, communicate how they prefer to wear a garment, and this way provide them with a source of inspiration. Later, this information is used by knitters to design and propose knitwear targeted for a specific customer in such a way that the garments resonate with their style. Knitters can propose their designs by knitting and sending sample garments to the specific customer through Inti Knitwear’s sales force. Especially the last service, Our Garment, is an example of how connecting supporters to the receivers can add tangible value to the product the supporter is purchasing. Our tool belongs to the idea generation phase. 1. Co-creation is an essential method in our approach to help the NGO. It is the way to map out all the needs and wishes of the parties involved and let them get to know each other, which can create empathy and trust. This way it is more likely that the service, of which a prototype can be made after the co-creation, will become something that addresses the needs of as well the supporters as the receivers. 2. The co-creation part will be the most challenging to go through for the NGO. A helpful tool can really help with this. During the research phase we gain a variety of insights about the two main stakeholders involved in the system, namely the supporters and the receivers. In the problem definition phase we summarize the insights in order to define the main challenges. 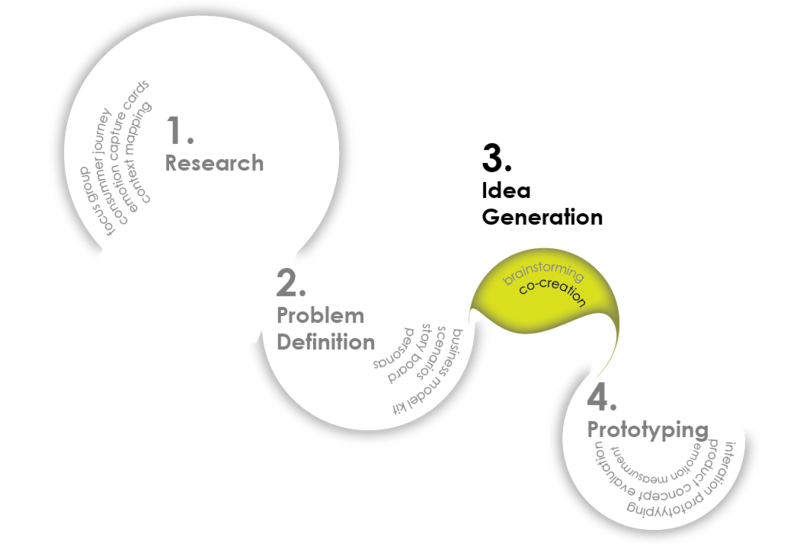 Now, in the idea generation phase we use the material collected during the two previous phases as input for a co-creation session. Our tool aims at creating the set-up for the session, which consists of a role-playing activity. Role-playing is described as “the practice of group physical and spatial pretend where individuals deliberately assume a character role in a constructed scene” (Simsarian, 2003). In particular, the role-playing activity enables the participants to feel what the other stakeholders feel (Brown, 2014). Between the many variants of role-playing, we choose the type of performance triggered by the use of personas and scenarios (Rodriguez et al., 2006). The content of the persona and scenarios used are based on the first phase in the design process (research). The session is led and facilitated by us from Bee and involves three main groups of stakeholders: the NGO, the supporters and the receivers. The participants will be chosen between the representatives from each group. For each group 2-3 representatives are needed, in order to represent the variety of the group they belong to. In total we plan to involve between 10-12 participants. Thanks to the role-playing activity, all the stakeholders put themselves in other stakeholders’ shoes and are able to feel what the others feel, which is used for the name of the tool, Be(someone)Else. The main challenge in getting people together for the role-playing session is identified by the long distances between the supporters and the receivers populations, who usually live in very distant parts of the world. In order to solve this, we provide an activity that can be conducted online. The role-playing activity is planned to last one full day. The participants will get together (physically) in two locations. The locations are the respective NGO offices of the two countries/areas involved in the system. the first group will consist of the representatives of the supporters, the representatives of the local NGO and two consultants from Bee. the second group will consist of the representatives of the receivers, the representatives of the local NGO and two consultants from Bee. The decision of setting the meeting point at the NGO location is important as it ensures the presence of internet connection and the availability of rooms for the session to be hosted. The presence of the design consultants allows the session to be led and facilitated in both groups in such a way that the organization of the two group sessions are coordinated. The consultants’ role consists also in the facilitation and eventually the problems solution during the session. The set-up for the session is inspired by the works of Rodriguez et al. (2006) and Kaario et al. (2009). A combination of the two, edited according to our previous experiences and our own knowledge is designed as described below. A Skype meeting between the two groups in the different locations is organised at a specific time which is convenient for both of them. the consultants introduce the scope of the session, the topic which it is focused on and explaining the dynamics of the session. an ice-breaker activity helps the participants in getting to know each other and get to feel at ease within the group (in the same location). the participants explore the topic through a group brainstorm. This helps them to familiarise with the topic and be focused on that for the rest of the session. a group discussion about the brainstorm help to get insights on the aspects that the participants feel being more important. This helps the consultants in understanding their way of thinking, while helping the participants by providing some triggers for the next phase. In this phase, the groups switch the summaries of their own insights with the each other. In this way, the group of the supporters receives the insights of the receivers and viceversa. Groups of 3 or 4 participants are created, mixing the participants from the two locations. Each member of the group receives from the consultants a board where they can create their personas, using the cards provided which contain answers for each of the 5W+1H questions (e.g. name, profession, places, times, etc). The participants can match the cards, choosing one for each question (5W+1H) and stick them to the board, creating their customized persona. Each participant creates the persona based on a different role from his/her own (e.g. a receiver will build a persona which identifies a supporter). In order, each participant presents to his/her group members the persona created: this serves as base for the group to generate the role-playing activity. Each team receives a scenario (built by the consultants based on the previous research phase), which is used as context for the role-playing. The scenarios provided enable the participants to immerse themselves into a situation which is different from the ones they are familiar with in their lives (Dong et al., 2008). The consultants explain the dynamics and the rules of the role-playing, demonstrating the activity through an example. Each team plays on the scenario, switching the roles between the members until all of them have played all the roles (also their own). At the end of the activity, the members can write on a board the main insights gained through the role-playing session, summarizing them into a “solution statement”, defining their proposal. After the session, there is time for sharing the different proposals to the entire audience in the two locations, who can provide feedback (improvements, changes, etc) to the ideas presented. By comparing and combining the different solutions gained from the role-playing session, the design consultancy, together with the NGO representatives, come up with the final solution, which will be prototyped and tested in a small scale before being implemented in a large scale. By enabling a collaboration between the groups of stakeholders, the solution is co-created in such a way that will accomplish all the needs of the different groups. The session, recorded in both locations, can be also used as a promotion tool to let the populations of the supporters and the receivers know about the solution designed and especially the way it was designed, thus increasing the transparency of information provided by the NGO in order to gain trust from both the groups. Excellent weblog right here! Additionally your website loads up very fast! Thanks for sharing your thoughts on AW Direct Coupon Code.